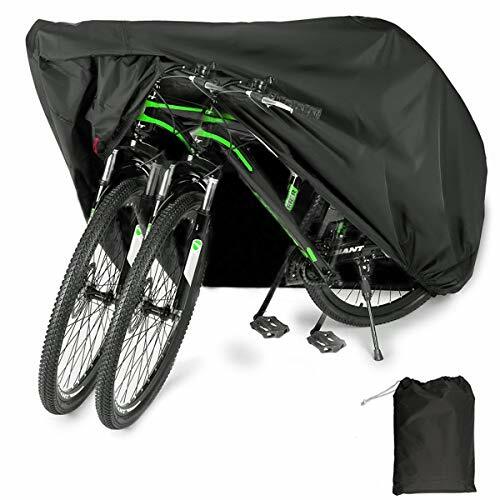 EUGO Bike Cover is the ultimate protection for your bicycle against all the elements. 1. Stowed in a storage bag, convenient for carrying in the journey. 2. Made of sturdy water repellent 210D Oxford Fabric, dustproof, UV resistant. 3. At the bottom of the tarpaulin there is a belt buckle which makes the protective cover safer so that the protective cover can not be blown away by the wind. 4. Produced with a double seam, which is waterproofed by a lining in the inside to protect your bicycle from any weather. 5. Security eyelets at the front, enabling the cover to be locked securely through the bikes front wheel, deterring theft (lock not included). 6. Easy handling: You can make a tight fit with the elastic bottom hem and there is adjustable strap buckle. If you have any questions about this product by EUGO, contact us by completing and submitting the form below. If you are looking for a specif part number, please include it with your message.